Archana Anand, Head of Digital - ZEE5 India Business said, “Padman has bought about a phenomenal change in the way society is looking at menstrual hygiene and we are proud to showcase the film on our platform. The movie is a take on a subject most Indians are reluctant to talk about and Padman puts it on the forefront which is a commendable effort. By associating with Saafkins, ZEE5 is doing their little bit via #KadamChotaChangeBada to contribute to the worthy cause and make a difference in the lives of underprivileged women.” The movie will premiere on ZEE5 on 11th May. 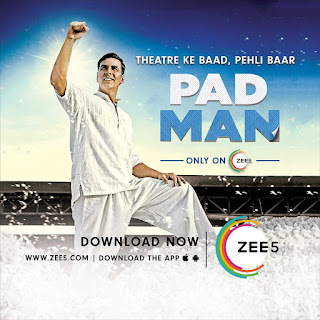 Availability: ZEE5 App can be downloaded from Google Play Store http://bit.ly/zee5andand iOS App Store http://bit.ly/zee5ios. 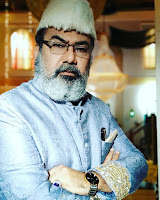 Also available at www.zee5.com, as a Progressive Web App (PWA), and on Apple TV and Amazon Fire TV Stick. ZEE5 also supports Chromecast.